Do you want your child to have a rock on which to base their life? Do you want your child to wonder about the amazing creation of which we are part? Do you want your child to discover values that matter? Do you want your child to grow up to discover their God given purpose in life? We enjoy baptising people of any age from a few days to 90+. It’s always a celebration! If your child is pre-school the easiest way is to come to Tiny Tots on Wednesday mornings. If your child is at school or you are interested in baptism for yourself then please the Rev’d Canon Andrew Holford in the first instance. If the person seeking baptism is 13 or older or adult we strongly recommend considering joining a Faith Confirmed Group to think through your faith first of all. Do you want God’s blessing on your life together? Do you want to promise to commit yourselves to each other for the rest of your lives in surroundings that speak of permanence and hope? When you say ‘I will’, do you expect these to be the most important words you will ever say? Do you want lots of support in the year before your wedding to prepare for this new stage in your life? Worried about the cost? 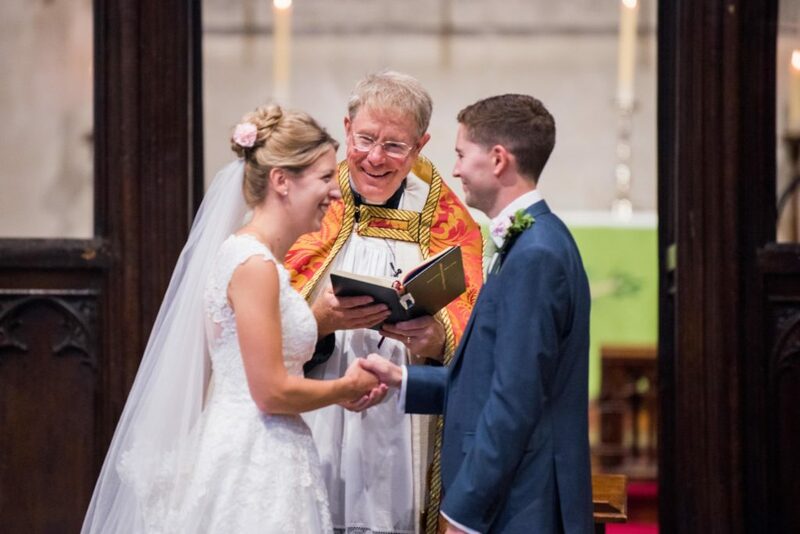 It is perfectly possibly to have a complete marriage service with organ and bells and a reception in our church hall next door (which scrubs up really well for a wedding) and still have change from £2,000. It can be a lot cheaper even than this if you cut out the optional extras. · We want you to get married. Speak to us and we can help take the stress out of the preparations! Contact the Rev’d Canon Andrew Holford. We can hold a provisional date for you and make an appointment to talk through the process so you can decide if it is right for you. Do you want to give thanks for the life of someone you love? Do you want some strength to trust that they are safe in the arms of God? Do you need some caring support to walk with you through the troubled waters of bereavement? We offer a Book of Remembrance in church where you can have the name of your loved one entered. A permanent reminder of your love for them and their importance in the eyes of God. We deal in Christian certainties. We proclaim a God who sent his Son to share all human life with us from birth to death, from joy and celebration to grieving at the tomb of Lazarus his friend. We proclaim a God who understands loss and who has done something about it. We proclaim a God who overcame the barrier of death by raising his Son from death on Easter Day and promised the Kingdom of Heaven for all creation. We make a point of offering additional support in the months after a funeral when most of the rest of the world is getting on with their daily lives. We understand that life will not be like that for you.